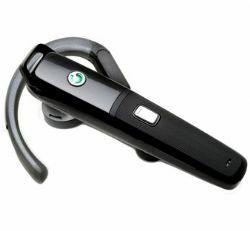 Sony Erricson HBH-610a Bluetooth Headset features Digital Signal Processing (DSP), fast automatic volume adjustment in noisy environment, auto pairing and redialing. Sony Erricson HBH-610a utilizes Bluetooth 2.0 specification for maximum connectivity. pocketnow reviewed Sony Ericsson HBH-610a and gave the headset rating of 3.5 out of possible 5, and concluded that “The HBH-610a rectifies some of the main problems with Bluetooth headsets. Namely, this headset is good-looking and the echo cancellation and noise reduction work well. It is held back somewhat due to the soft volume on both ends of the call and the odd way it sits on your ear. I deducted 2 points from the Ease of Use rating because of the slightly uncomfortable fit, so it’s tough to get used to. As I mentioned, you should definitely try this headset on before you buy one.